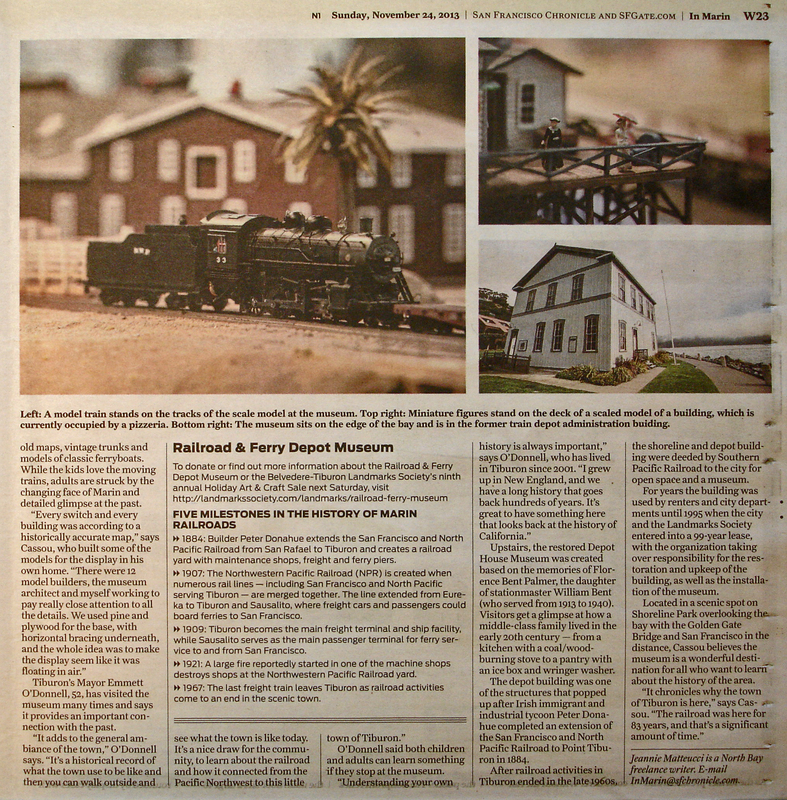 The San Francisco Chronicle’s InMarin magazine visited the RR & Ferry Depot Museum in the fall of 2013 and produced a fine feature on our flagship Landmark. 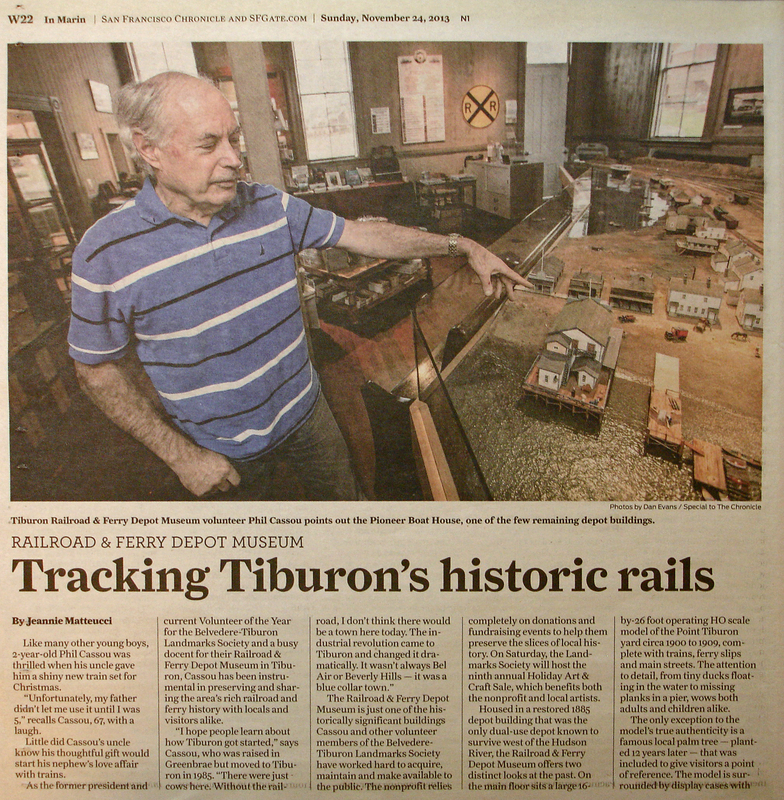 Head docent and Volunteer of the Year Phil Cassou guided the writer and photographer through Tiburon’s railroad history using the scale model to great effect. 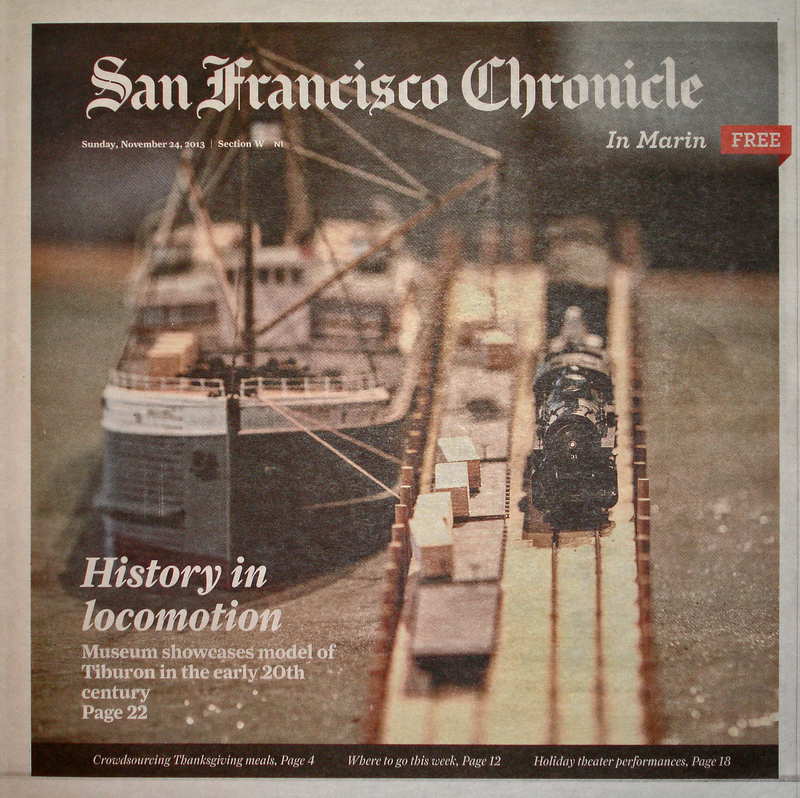 Our thanks to Jeannie Matteucci and Dan Evans for their fine work.